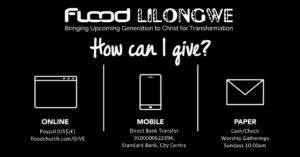 Be a part of what Flood is doing in Lilongwe! These donations go towards our monthly ministry budget. This includes our venue, church administration and ministry costs. These donations go towards land purchase and development of a church building. 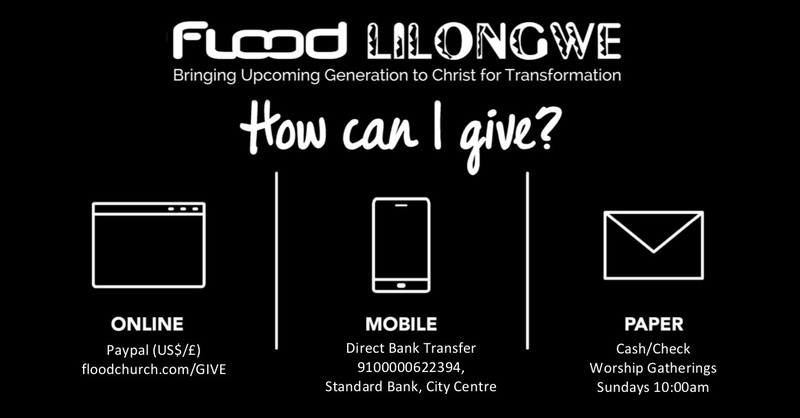 If you are interested in giving towards Flood Blantyre you can contact Pastor Humphreys at floodlilongwe@gmail.com.